The June edition of Tabletalk is out and it asks this question: How should Christians view and observe the Sabbath? 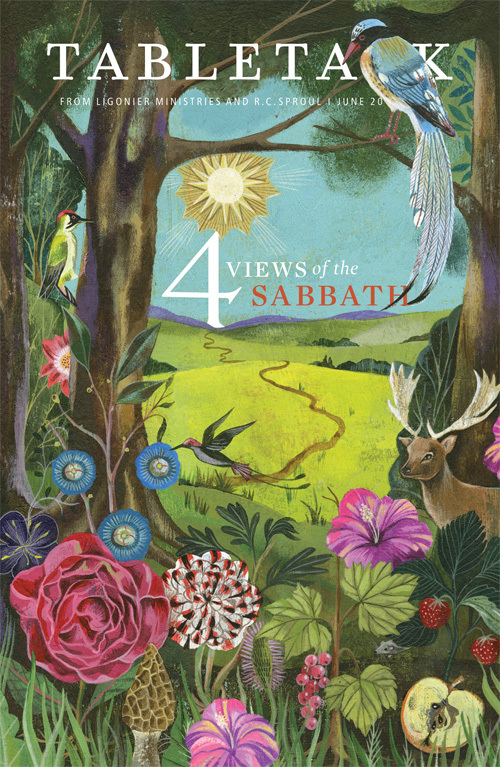 This issue looks at four prominent views of the Sabbath and how it is applied to the Christian: seventh-day sabbatarian, Sunday sabbatarian, Baptist, and Lutheran. Contributors include R.C. Sproul, John Piper, Carl Trueman, Collin Hansen, Peter Hitchens, and R.C. Sproul Jr.
“The Rest of the Story” by R.C. Sproul Jr.